For many a historic moment to be exalted, for me it is the usual style fall of our Federation and sports institutions. Historical moments to remember and to exalt are the albums dedicated to the World of Germany 2011 and all 'European of Holland with all the Nationals involved and their players. The title of the Italian album "Calciatori" says it all and there was little to be expected. The false goodists will say: "it's a step forward, at least now there are 15 kickers representing the National team etc ..., and bla bla bla". For a moment I put myself in the shoes of all the excluded and I honestly did not feel great emotions. Who selected these girls, the FIGC? Where is the bomber's figurine and top scorer of the championship Valentina Giacinti, just to mention one of the best and ignored on the album? Be satisfied, I do not! To be content means to be complacent, I am not complacent with this double discrimination. The first is for having just entered 15 girls, ignoring all the rest of the clubs; the second is the selection of representatives. Better not to be present than present with 15 figurines thrown in the middle of the many simulators, champions and performers of the greatest expression of sport disloyalty. I justify the Panini Group, who must think about making profits, but the choice of FIGC no! Imagine the tacit consent of the AIC. Women's football is different (fortunately), putting it completely together with that of professionals could be, for them, an example, an added value of loyalty and values. 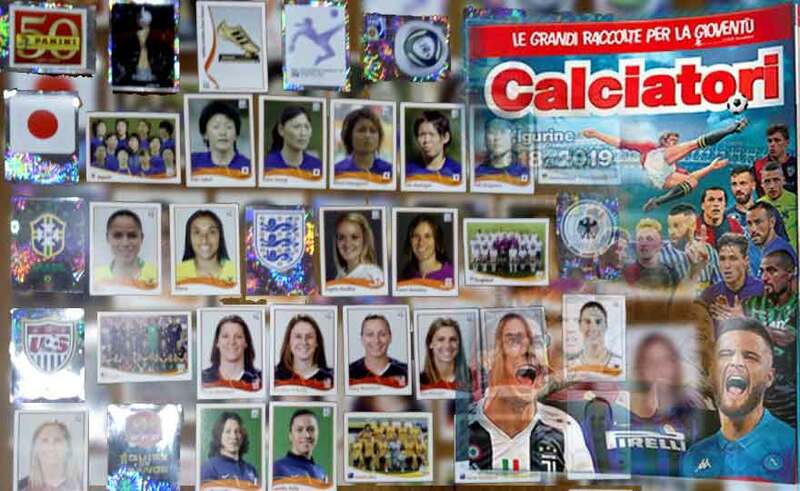 It makes no sense to include only 15 girls representing over 200 Serie A players in an expressly male-dominated album that has always been called "Calciatori". They called him "Footballers & Players" with the FIGC and the trusting AIC and AIAC institutions financed by our beautiful movement, once again violated in dignity. Or did they make an album dedicated to Italian women's football (as I proposed to LND) with the whole series A, the series B and the series C. Utopia?